RFBA: RFBA Updates on your Facebook Now! RFBA Updates on your Facebook Now! You can now get RFBA updates via your Facebook. Just click on the Facebook ad on this page and "LIKE" us! This will help us get the word out to you on events and RFBA topics. Mar 19, 2019 7:30 p.m.
All trademarks, logos, information, images, and copyrights are property of their respective owners. 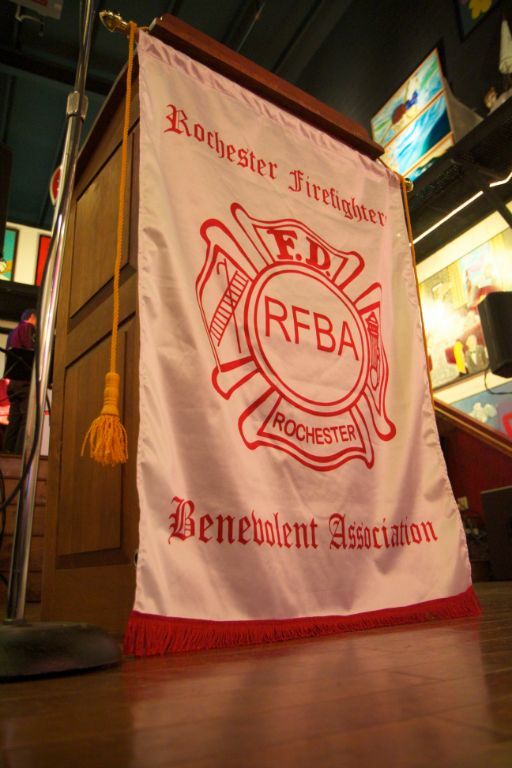 The Rochester Firefighters’ Benevolent Association (RFBA) membership is comprised of active and retired members of the City of Rochester, New York Fire Department. The RFBA maintains this website to provide current information about the association and its members, and to keep those members informed about scheduled RFBA meetings and events. Please consider visiting the site regularly to stay up to date on matters affecting the organization. Remember to always keep your benefits beneficiary designations up to date! Send or call any changes or updates to the RFBA office. Call the office at (585) 325-4949 and leave a message or attend a monthly meeting if you have any questions about your membership.